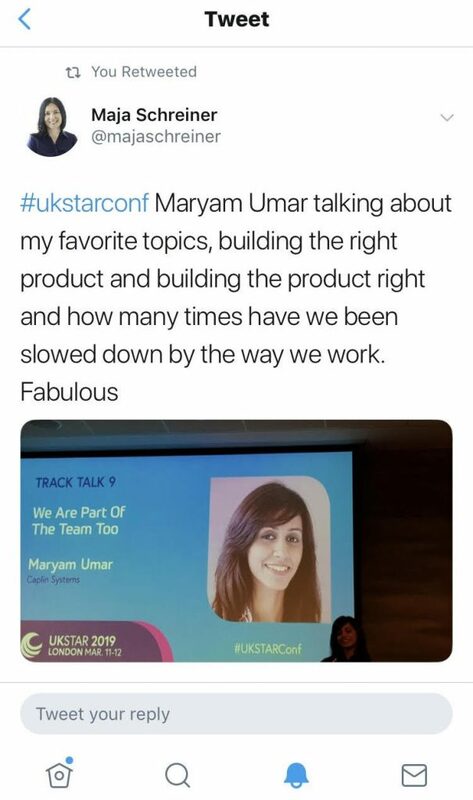 This March I presented at UKSTAR 2019 , the UK’s fastest growing software testing conference. The conference is run by the EuroSTAR conference team in London. Submitting talks for conferences isn’t easy and we often overlook the issues we resolve everyday without sharing the learning. Last year, when on holiday, I came up with an idea for a talk. It was mostly around the challenges I have found in test leadership and suggestions on how to overcome them. 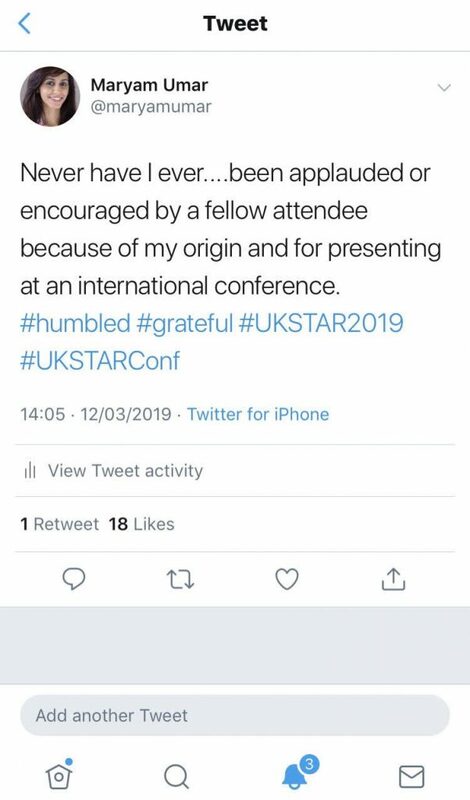 After much persuasion from my mentor Dan North, I submitted it to UKSTAR for 2019… And it was accepted! 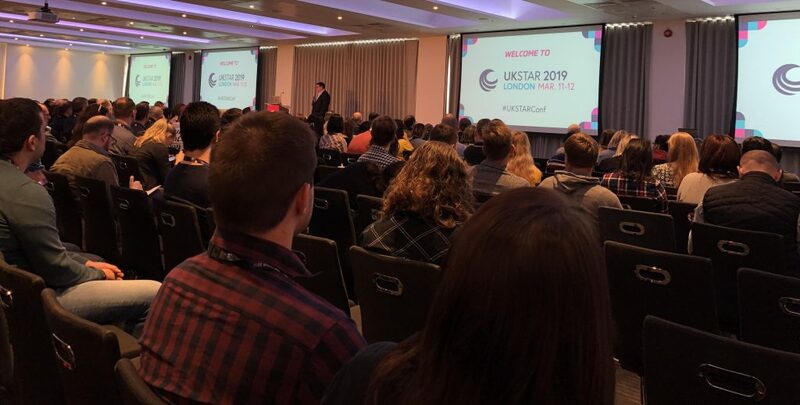 The conference was held in London over two days in March 2019. There were a multitude of discussions in the conference around the value of testing and the reasons for testing. The topic I submitted was: ‘We are a Part of the Team Too’. Having been in the software testing industry for 13 years now, I feel that Quality Engineers and software development engineers in test (SDETs) are slowly losing their value and their place in the team. Since I moved into test leadership, I have become more aware of the issues that stop us from bringing value to the system. Hiring: Bad CVs and unmatched salaries form the basis of this argument. The CVs hardly reflect what problems were solved by the individual. Rather, they end up listing all the languages and frameworks without talking about their real application. Another issue is that the salaries of testers don’t match the developers in the industry. This is why a lot of people leave the role and join other sections of the software engineering industry. Setting Objectives: SDETs should be responsible for overall quality and not just testing their products. Often, SDETs are given objectives that restrict them to testing the product only and not think about the overall picture of efficient product delivery. Testers within team: As managers, we also have this constant debate about team ratios. How many testers in the team are enough? What should the balance be? We have created mini-waterfalls inside of our sprints which has eventually started reflecting badly on the testers even though releases are a whole team responsibility. These challenges prevent leaders in the field of quality assurance from achieving and helping to recognise the true value of quality engineers and SDETs in the team. We all know ways and reasons to improve yet we still stop ourselves from doing so. 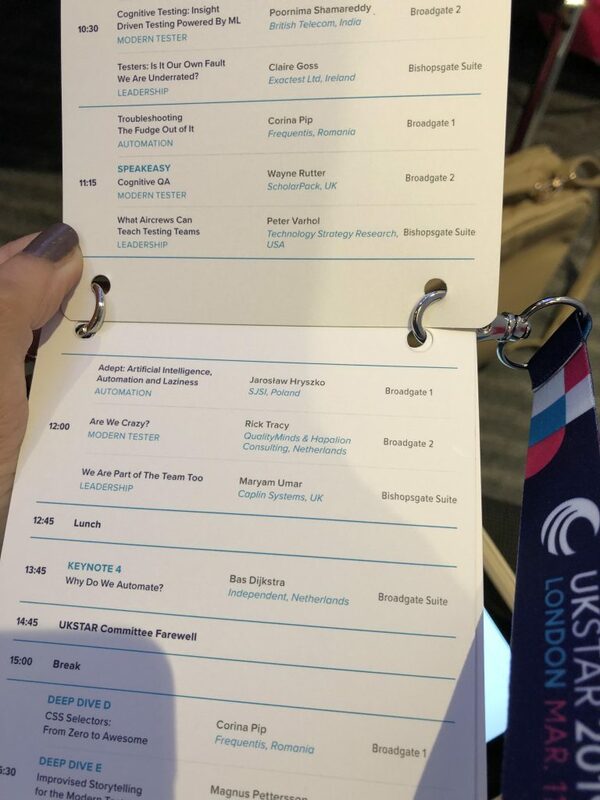 The whole experience of speaking at UKSTAR was really interesting and thought-provoking. I got a multitude of questions around what I think about hiring and how team make ups should be. 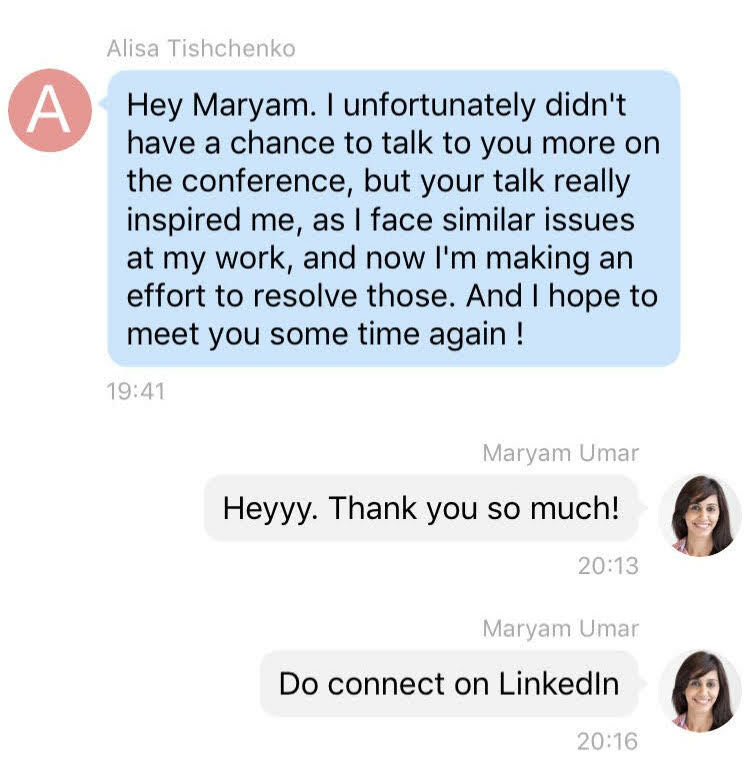 I also managed to increase my network, which will help me in turn to combat some of the challenges I face in my career. I met Fiona Charles, Alan Richardson, Angie Jones and many others who I have followed on Twitter for years and learnt from. Lastly, I am humbled, and very grateful for all the shoutouts and support that I received from my peers throughout the conference. We MUST continue to support our cause and make sure quality engineers and SDETs are a part of the team too!